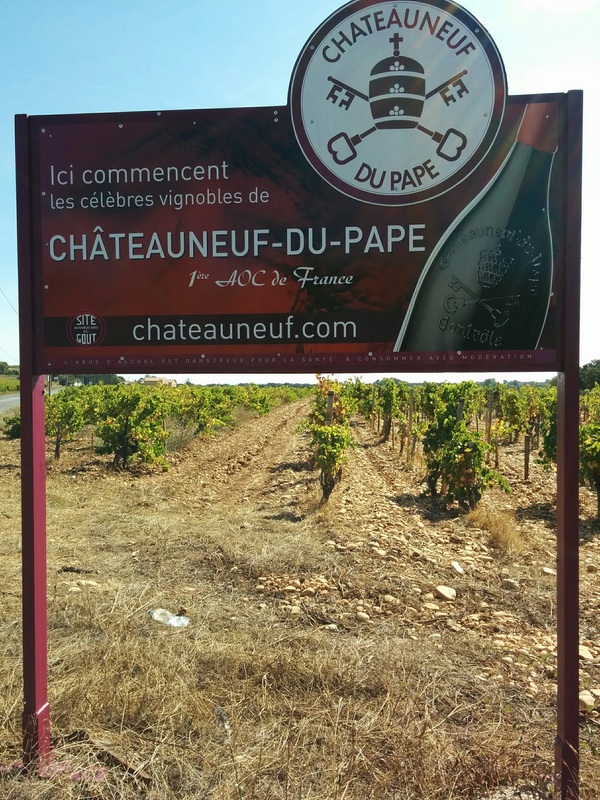 On Thursday, the 29th of September, we rode up the Rhône on the right bank and crossed into the wine country of Châteauneuf-du-Pape, one of the most famous labels in French enology. It was one of the initial ten appellations authorized when the AOC rules were first established in 1923, ending centuries of confusion, fraud, and abuse. The story makes for interesting reading: https://en.wikipedia.org/wiki/Ch%C3%A2teauneuf-du-Pape_AOC. The “new castle of the Pope” itself was an impressive structure, built by John XXII (remember the shoemaker’s son from Cahors?). However, I was taken more by the scenery and the city of Orange. Cheryl had promised me that I would like it, and I was not disappointed. 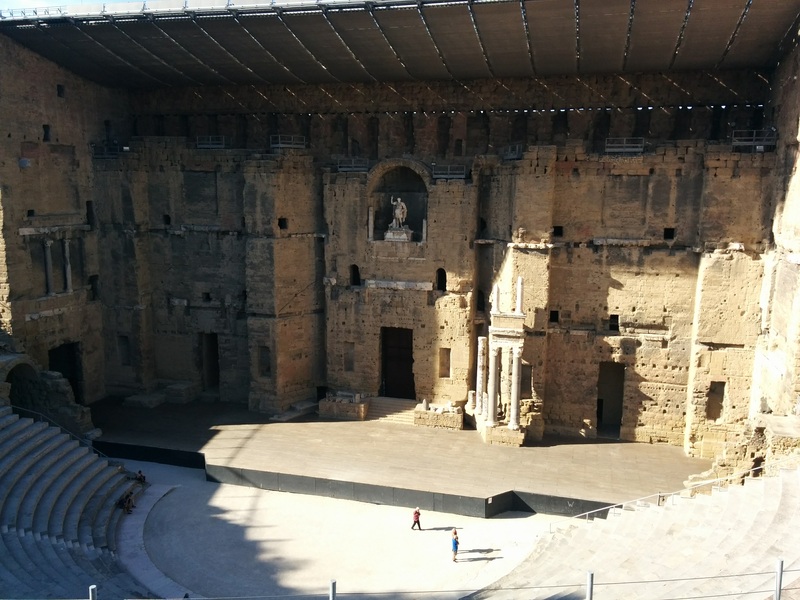 It had an incredibly well-restored Roman theatre, which has attracted big crowds with its seasons of opera and classical music each year. We just had to stop for a selfie with Augustus looking over our shoulders. The Counts of Orange emerged in the 8th Century, and the aristocratic family endures to this day. William the Silent of Orange-Nassau held land in the Netherlands. The city was on the Protestant side of the Wars of Religion and was badly damaged. The Orange family emerged from the 80-year War of Spanish Succession as stadtholder in the newly independent Netherlands. The Dutch royal family retain their title in France to this day, though the city was turned over to France by the Treaty of Utrecht in 1713. 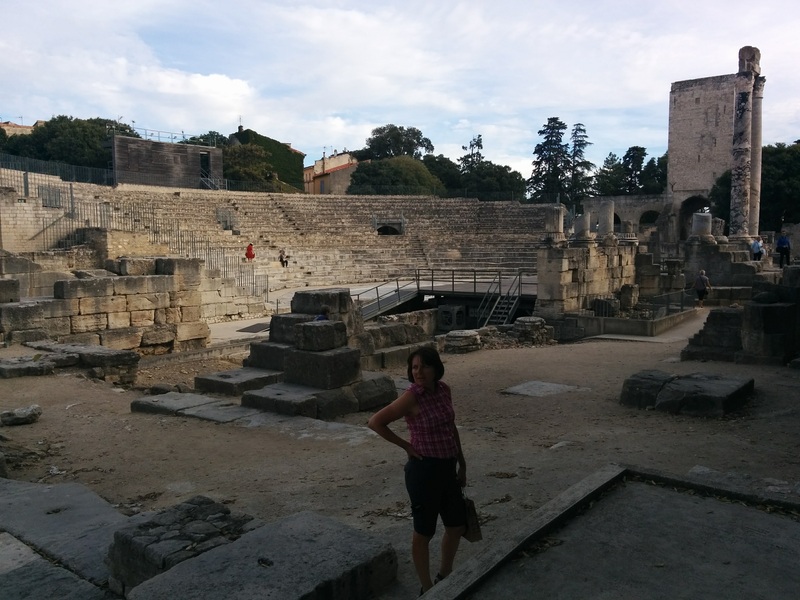 We found lodging in the Hotel Saint Florent, where Cheryl had stayed many years earlier, just a few meters from the Roman Theatre. 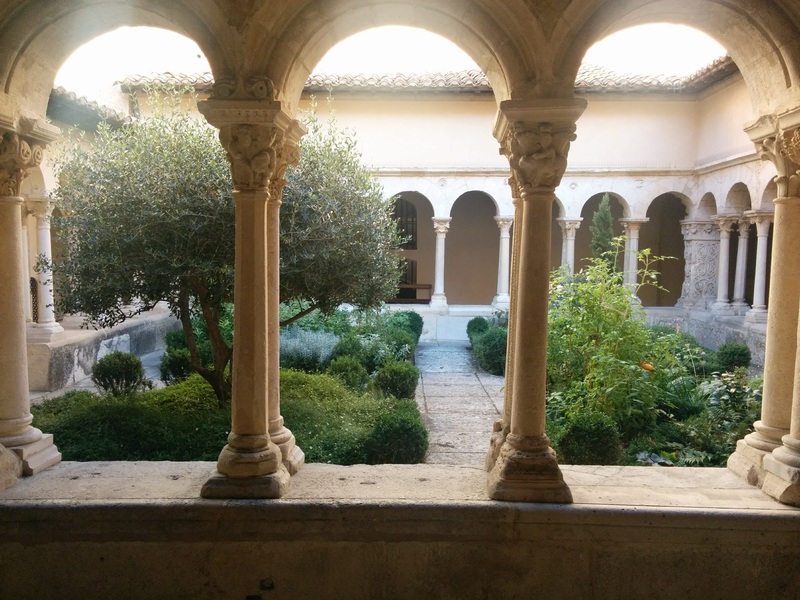 On the last day of September, we rode to the station and caught a train back to Avignon. 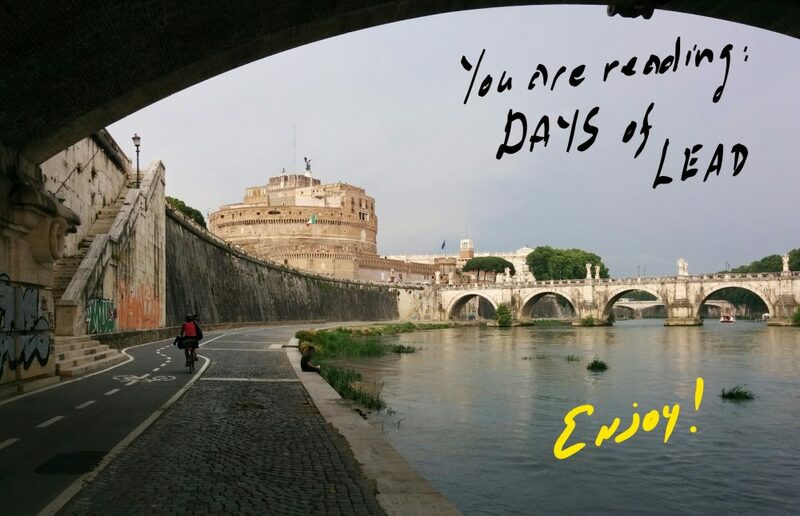 This gave us the whole day to visit the Papal Palace and the Pont d’Avignon. 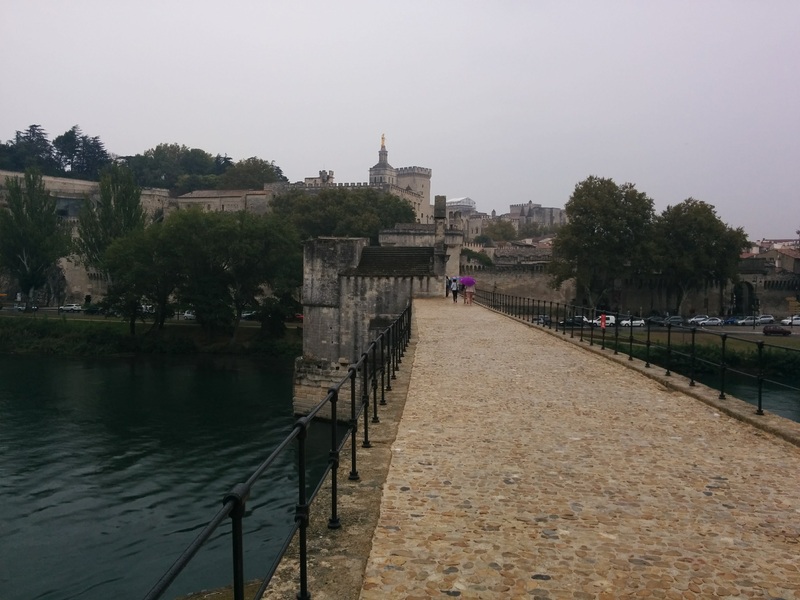 Avignon is the only French city to have preserved its ramparts. This is partly because it was not part of France until after the French Revolution. 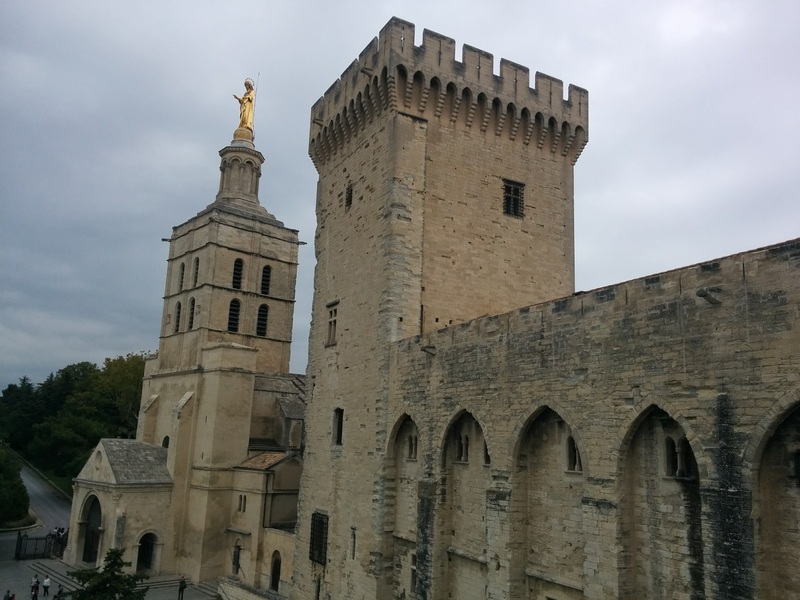 In 1348, Pope Clement VI (one of the eight Avignon popes) bought the city from Queen Joanna I of Naples. Even after the popes returned to Rome, Avignon remained a papal city until 1791, when it became part of France. The Papal Palace tour is laid out very well, and it made for an interesting and educational itinerary. Having read a biography of Philip the Fair (an mean tyrant, actually) and stories set in medieval France, I felt the history coming alive for me as I walked through the palace, reading all the placards. The bridge of Avignon, made famous by the song, had a long history, mostly of failure. 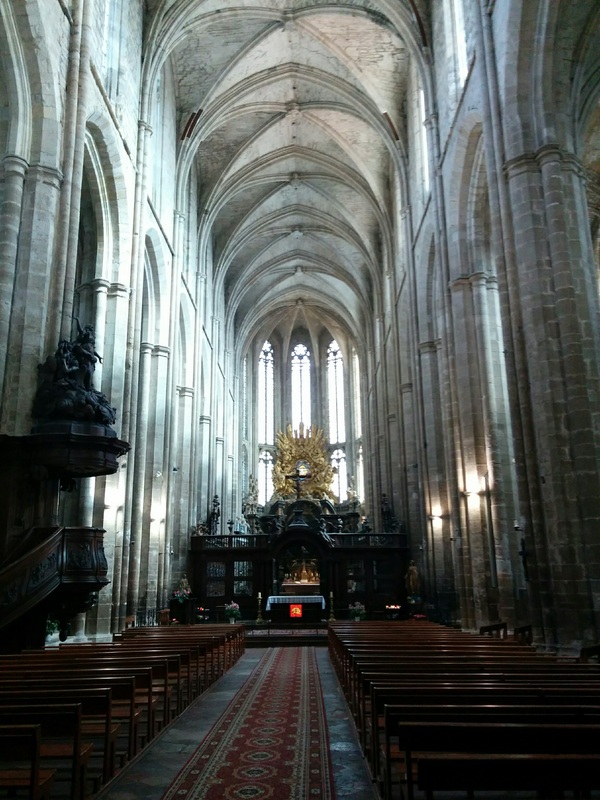 It was built between 1177 and 1185, an amazing 900 m long. 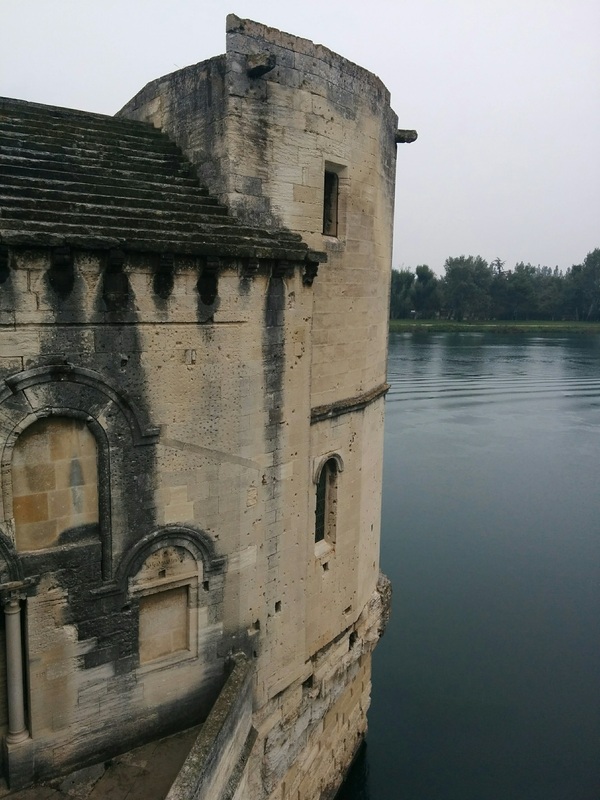 The Rhône River splits into two near Avignon, so the builders could take advantage of the island in midstream. 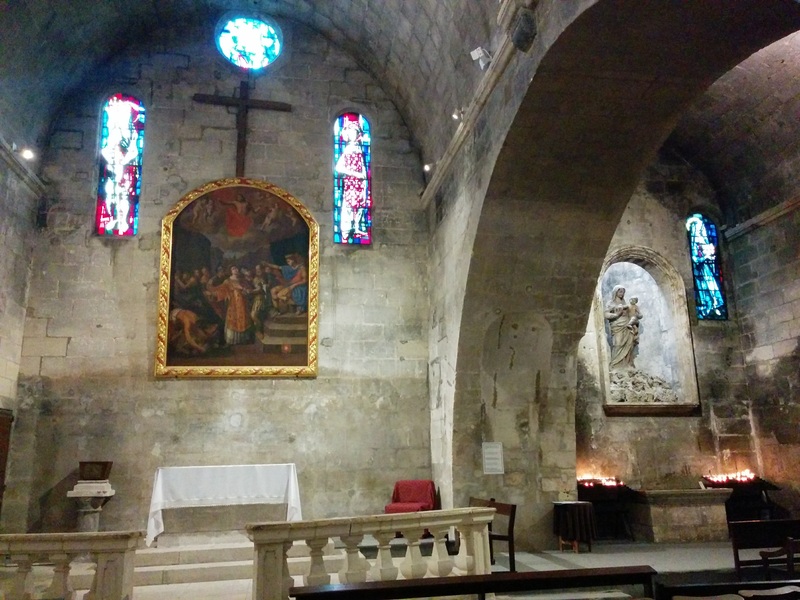 It was destroyed by the Albigensian Crusade in the early 13th Century, and rebuilt by the Avignon Pope Clement VI. At the time, it was the only fixed crossing of the Rhône between Lyon and the Mediterranean Sea. The Kingdom of France lay on the right bank; the Papal State on the left bank. This explains the sturdy gatehouses on either end, which survive today. The Rhône River did not care: it washed out arches on a regular basis, and finally swept away most of the bridge in 1669. To this day, the Rhône continues to flood dramatically in the spring and autumn. The city has 110 km of bicycle paths, and has had a bike sharing program since 2009. Needless to say, I found it a friendly town. 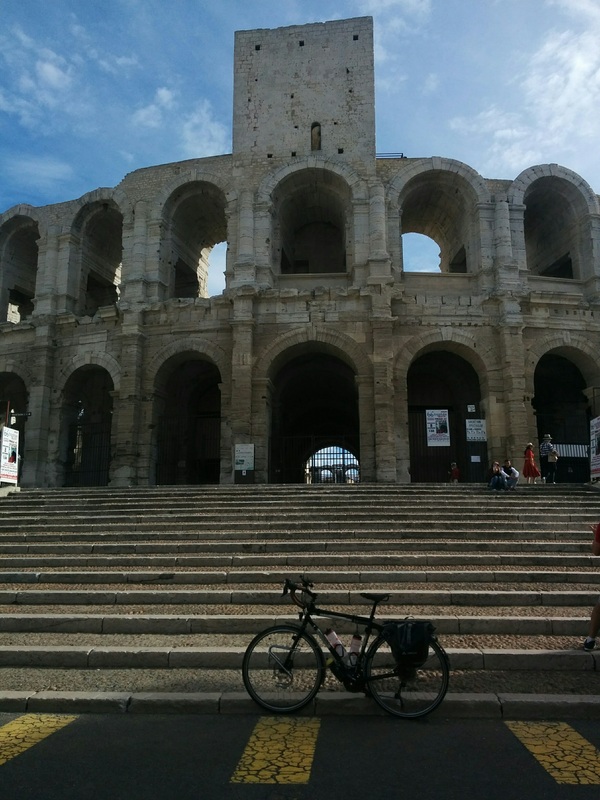 On Sunday, 1 October, we rode to the station and took the train to Arles. There was much excitement at the station, and a lot of unhappy passengers. All trains going to Marseilles were ending their runs at Arles. No one was being allowed to go to Marseilles. Later, I found out about the terrorist attack outside the train station in Marseilles. We arrived in Arles hours before that, so obviously the security forces had intelligence about something going down at the station in Marseilles, which may explain why the terrorist was shot so quickly. 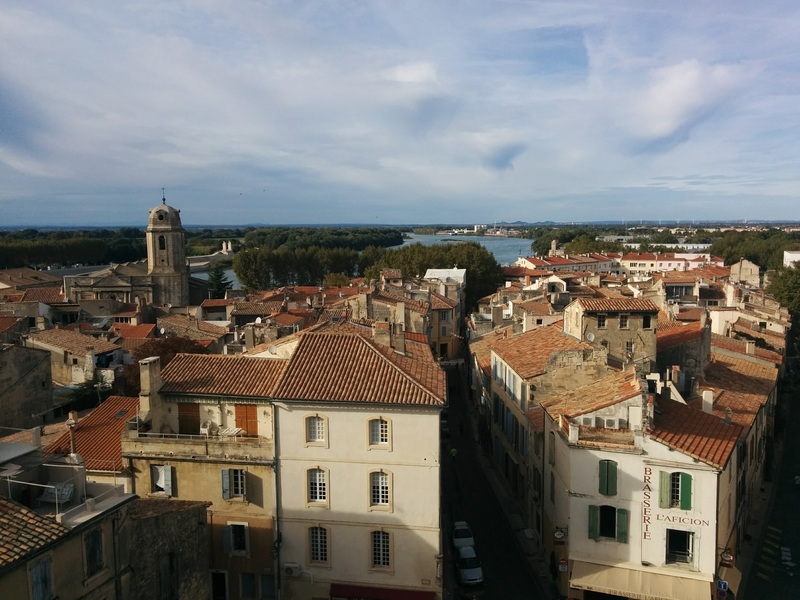 Arles was a beautiful city, with buildings dating back to the 1st Century BC. The variety of sights attests to the up-and-down history of the city. It was formerly much closer to the sea, and a major seaport. It also had the southernmost bridge across the Rhône in Roman times. 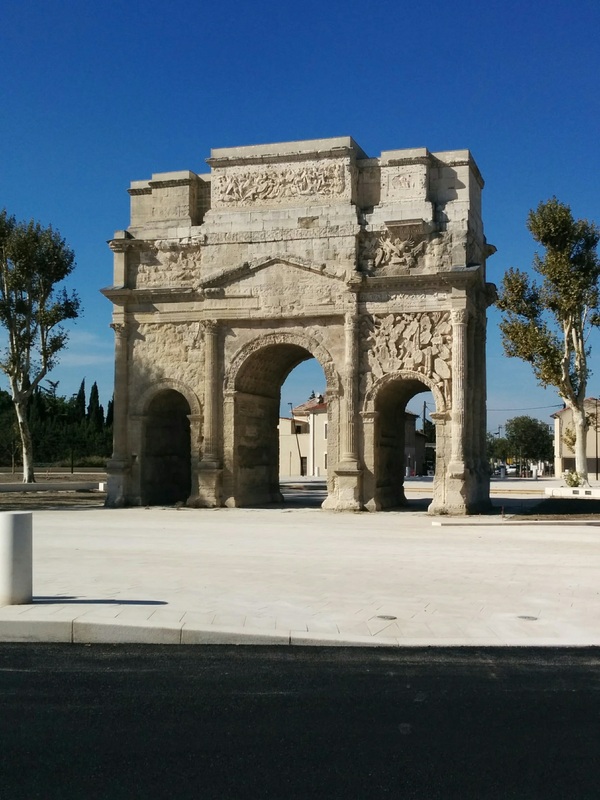 The Roman Arena, which was a fortress in medieval times, is once again an entertainment venue, noted for its Camargue-style bullfights in which the bull is not killed. Instead, athletes try to pluck tassels from the bull’s horns without getting hurt themselves. In the autumn, Spanish-style corridas are held, also, in which the bull is killed. Much of the Camargue peninsula, where the Rhône splits into two streams, is located in the municipal limits of Arles, which is why it is the largest French city, in spite of its small population. The Camargue area is also know for raising bulls for the corridas in Arles and in Spain. 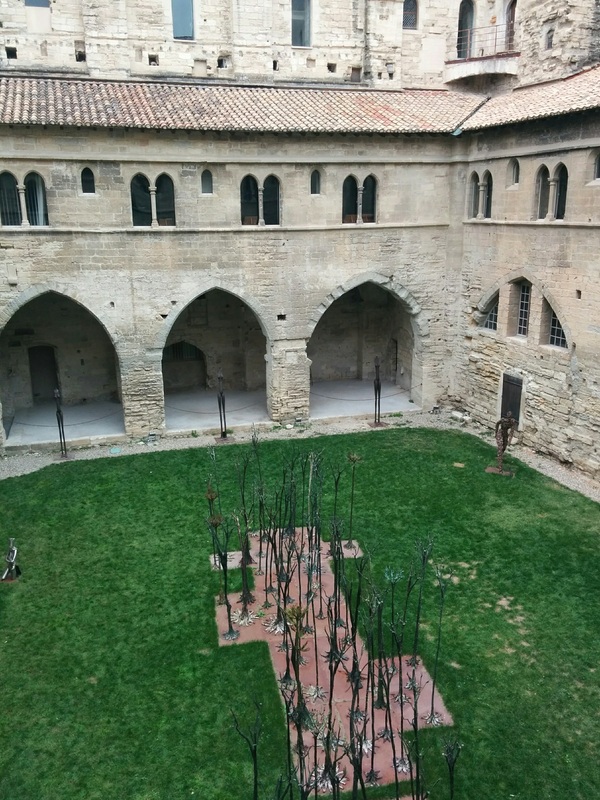 We arrived early enough to walk through the Arena, the Roman theatre, and settle into the Hotel de la Muette, in a 12th-Century house. The next morning, we checked out, and headed for the hills. 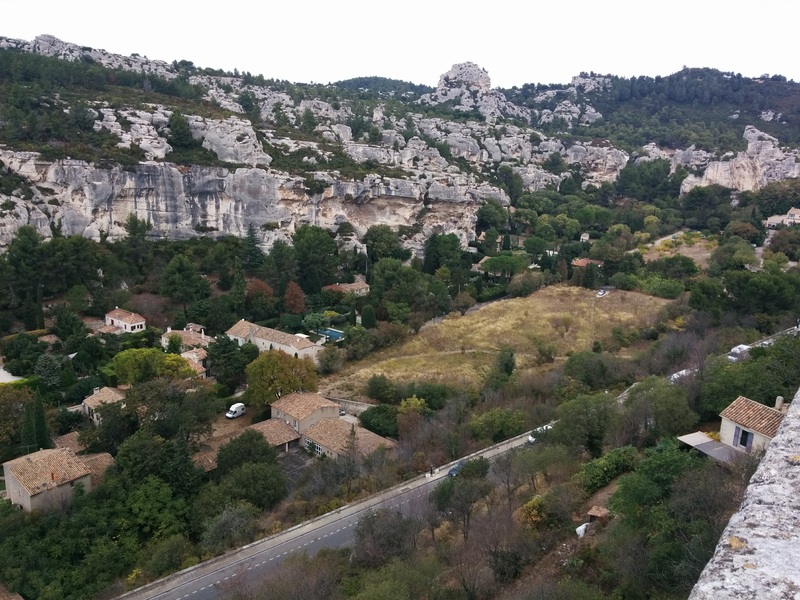 Following the D17 on a clear, pleasant day, we climbed alongside the Alpilles mountains to the medieval town of Les Baux, a carefully preserved tourist destination sitting in the Col de la Vayède. Les Baux was pretty,and the views were stunning, but I thought that it felt phony, because only 22 people really live there. 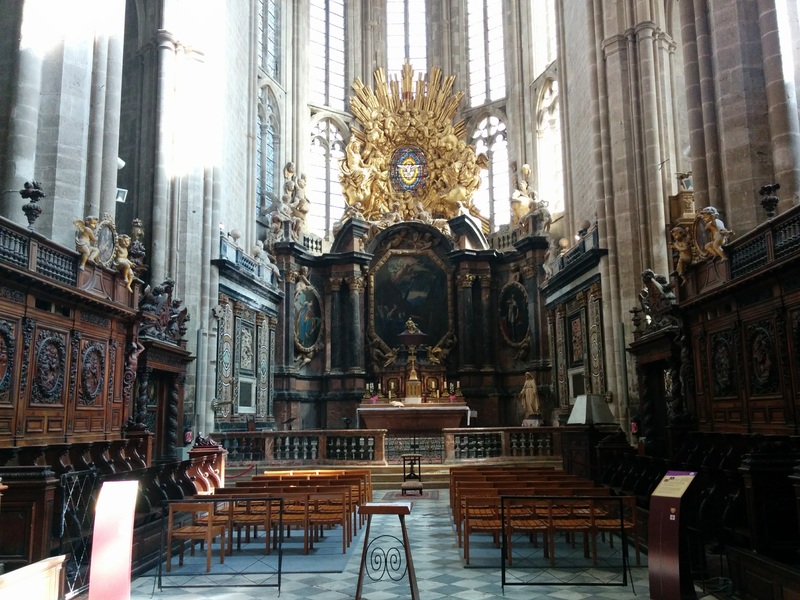 I did appreciate the chapel of Saint Blaise. 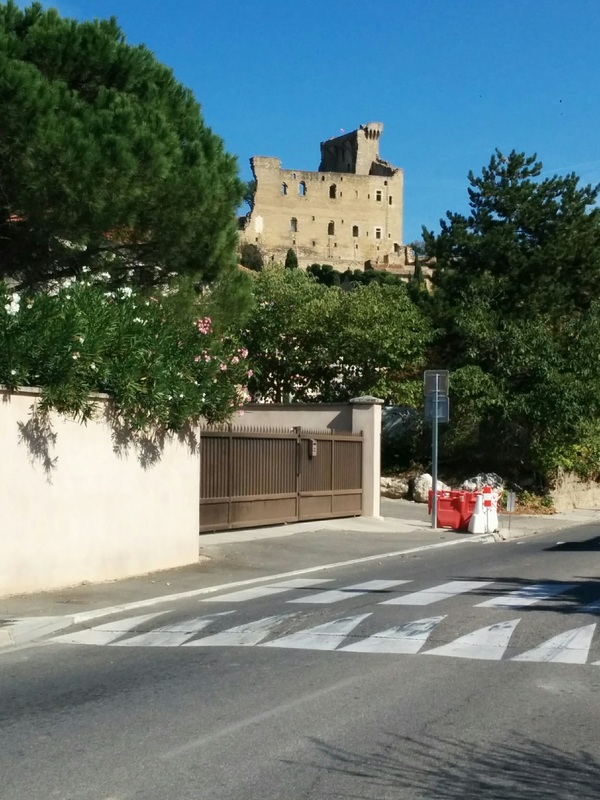 Like most of the other buildings, it has seen the colorful history of Les Baux-de-Provence unfold without being plastered over and remodeled to suit later tastes. https://en.wikipedia.org/wiki/Les_Baux-de-Provence. 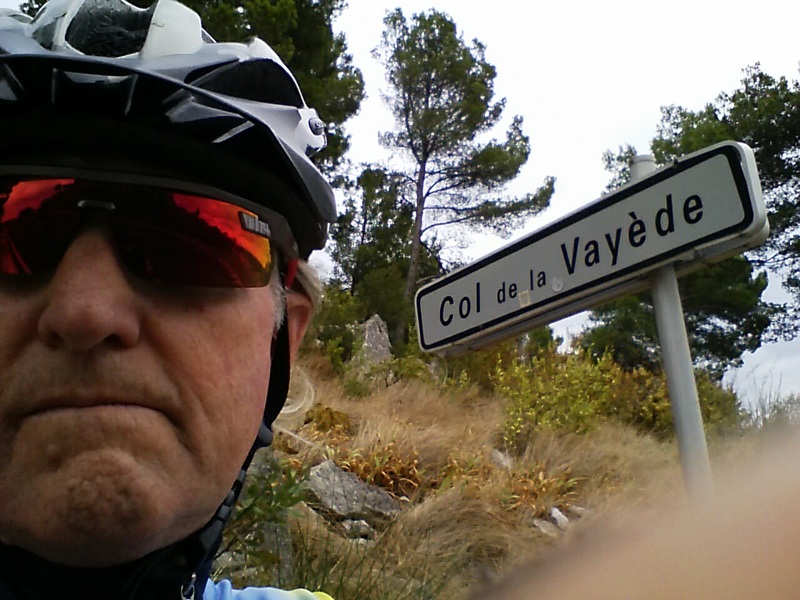 La Vayède would be our last col on the bicycle. 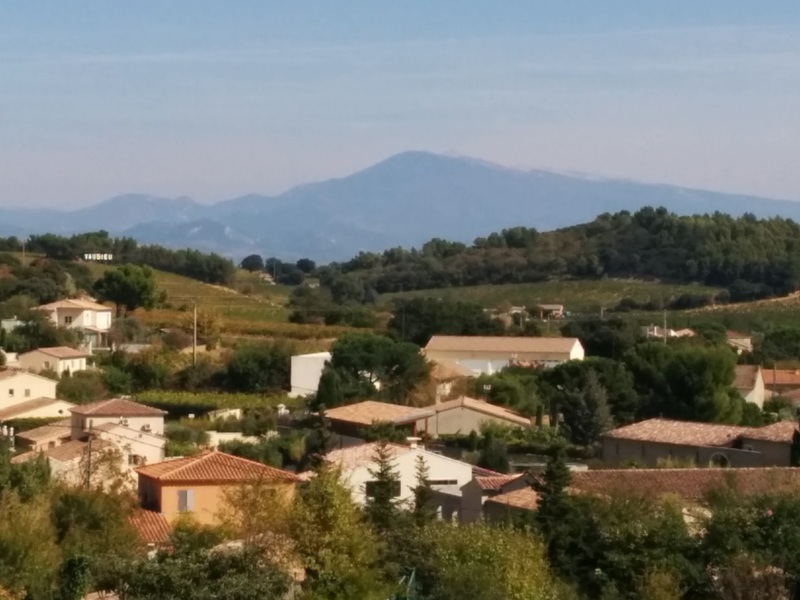 The D17 took us blasting downhill into the fertile valley past vineyards and farms and little villages to end up in Aix-en-Provence. We had both been looking forward to this city, so we booked the nights of the 2nd and the 3rd in the Hotel des Quatre Dauphins. After a relatively long day in the saddle, it felt great to relax on a quiet residential street in the Mazarin quarter, around the corner from the famous Fountain of the Four Dolphins. 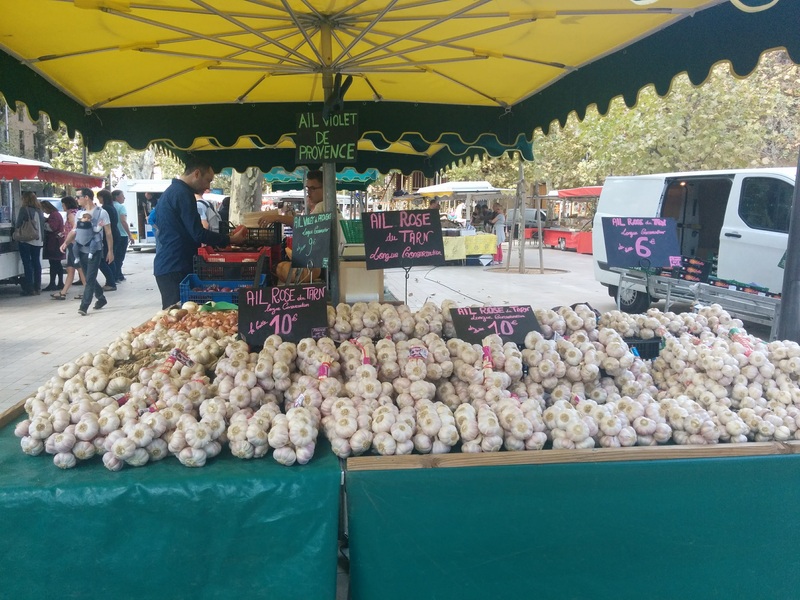 The main drag in Aix is the Cours Mirabeau, and it features a very large market on Tuesday. 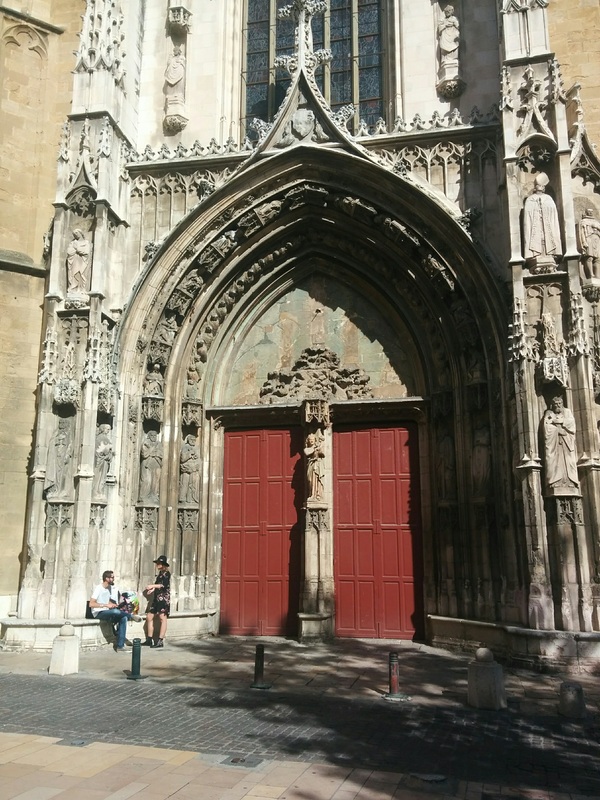 We used our bikes to tour Aix, dodging construction to visit the cathedral with its famous carved doors and remarkable cloister. Outside, I saw a placard identifying the International School of Business across the street. In fact, there were three post-secondary schools in just that one square. 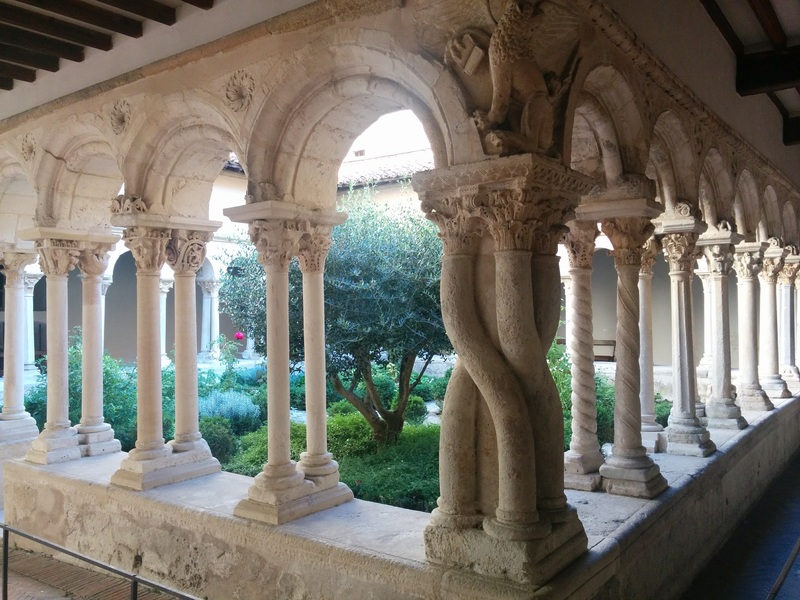 Aix has been a university town since 1409, and it has grown a niche in study-abroad and international programmes. No wonder it is a sister city of Perugia, Italy, which hosts Italy’s Università per gli Stranieri (University for Foreigners). Finding Cezanne’s studio was challenging, both because of the detour forced by construction and the steep hill from which it overlooks the city. It was worth it. The artist had it built to his specifications with large windows for light, and a lush garden all around. Good thing he insisted on the garden, because it protects the house from the sprawl of 20th Century neighbours. The Granet Museum, devoted to European art from the 15th to the 19th Century, was easy to find, and only a couple of blocks from our hotel. 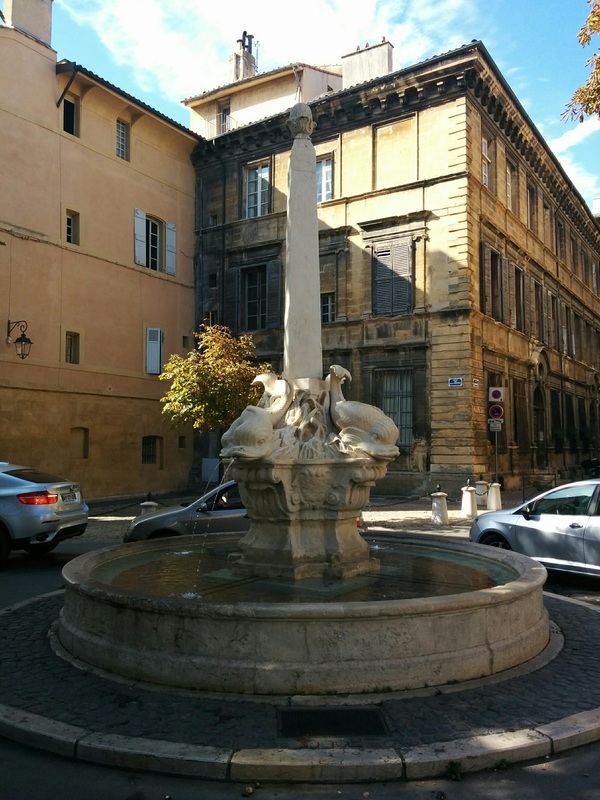 Aix-en-Provence has one of the better write-ups in Wikipedia, including a full list of sights, and a photo gallery: https://en.wikipedia.org/wiki/Aix-en-Provence. 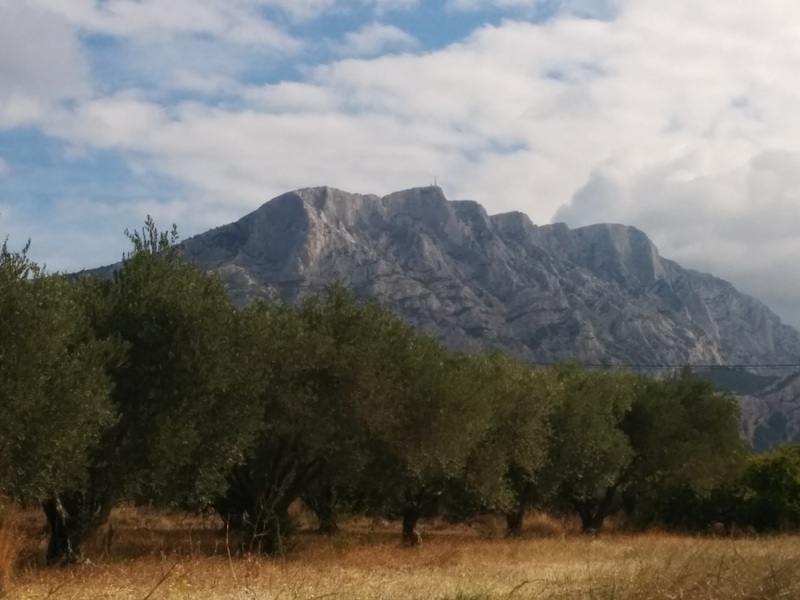 On Wednesday the 4th, we struck out east on the D10 highway around the north of the dramatic Montagne Sainte-Victoire, which Cezanne, Van Gogh, and countless others have painted. 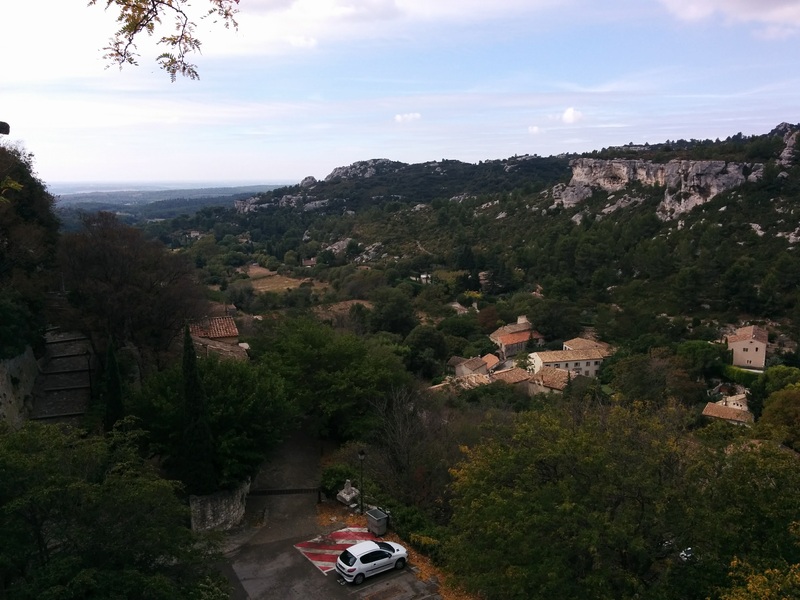 After clearing the mountain, we crossed into the Var department, and climbed over the Sainte-Baume mountains on the D23. 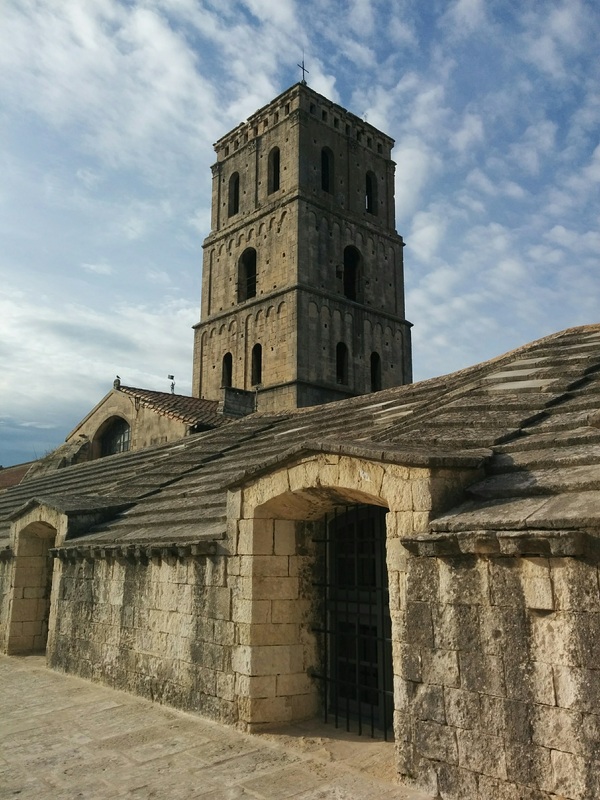 I stopped in Saint-Maximin-la-Sainte-Baume, a small, mixed city (early medieval and modern industrial). 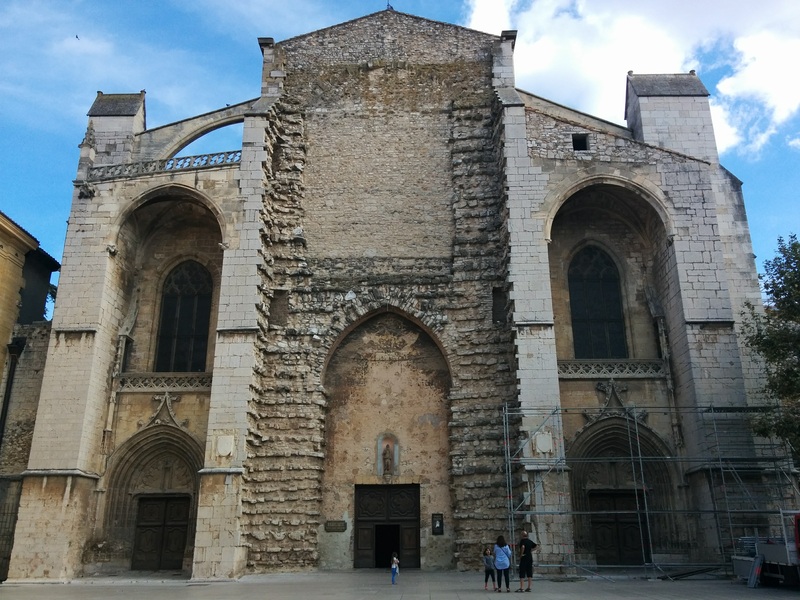 The 13th-Century Basilica of Saint Mary Magdalene is reputed to be her burial site, and a traditional Provençal legend credits Saint Maximin, the first Bishop of Aix, with having evangelized Provence with Mary Magdalene. 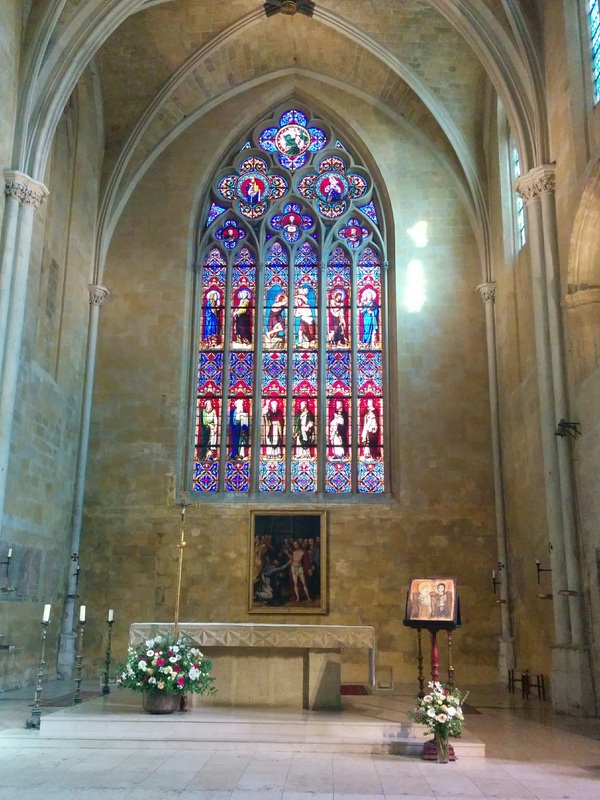 The full story at https://en.wikipedia.org/wiki/Saint-Maximin-la-Sainte-Baume. While I was having lunch just off the square of the basilica, Cheryl was rolling through town on the D23, and missed me. This was one of those rare days where I got ahead of her because she was able to stop for more photographs. We were finally enjoying the kind of weather that lets her pull out her camera. After an exchange of phone calls, we rendezvoused south of town and began climbing the ridge line that lay between us and the sea. 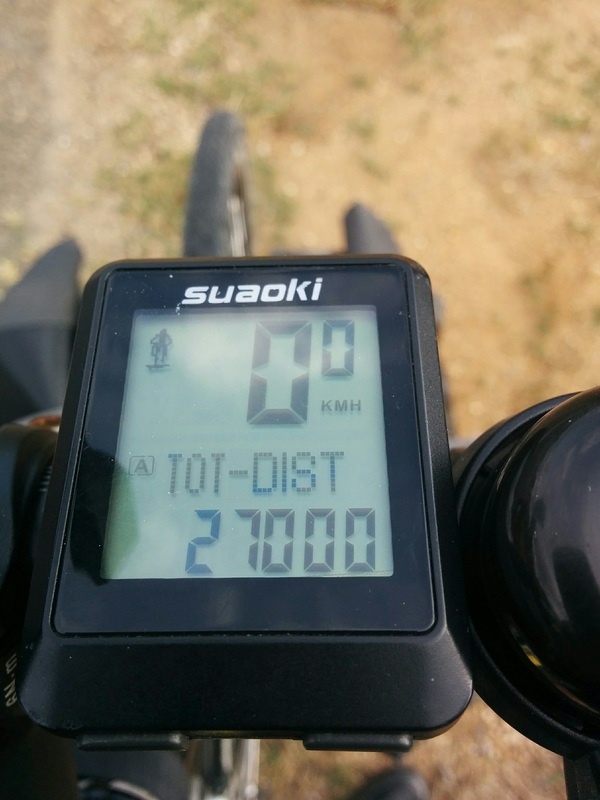 My odometer rolled over 27,000 km. I knew that I would not see 28,000 this year. We were closing in on the end of the tour. We spent the night in a small village called La Roquebrussane at the top of the hill. L’Auberge de la Loube was a pleasant place, but the cook had gone on holiday, and the substitute had called in sick. The owner, dismayed at our plight (there were no stores or restaurants), offered to call for pizza delivery. We enjoyed hot pizza with her draft beer. Then we admired the valley from the garden square next door. 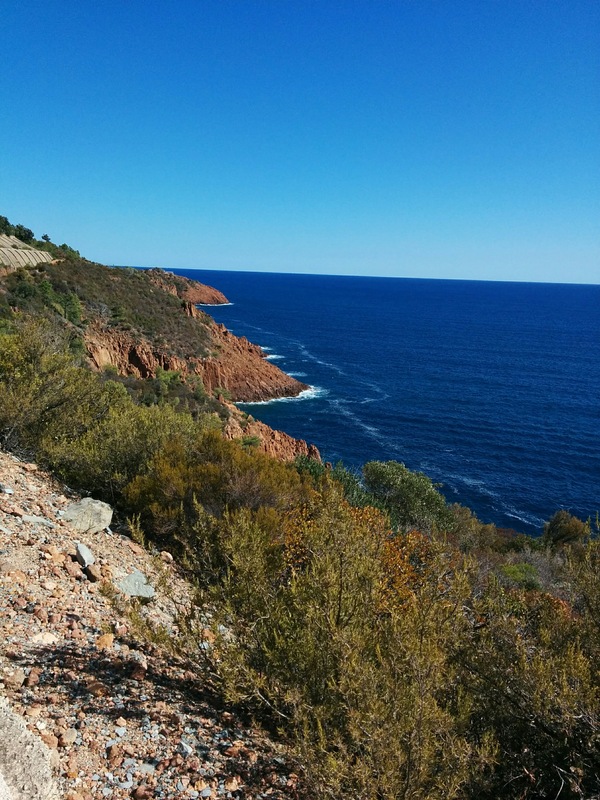 The next morning, it was only 37 km to Toulon on the Mediterranean Sea. 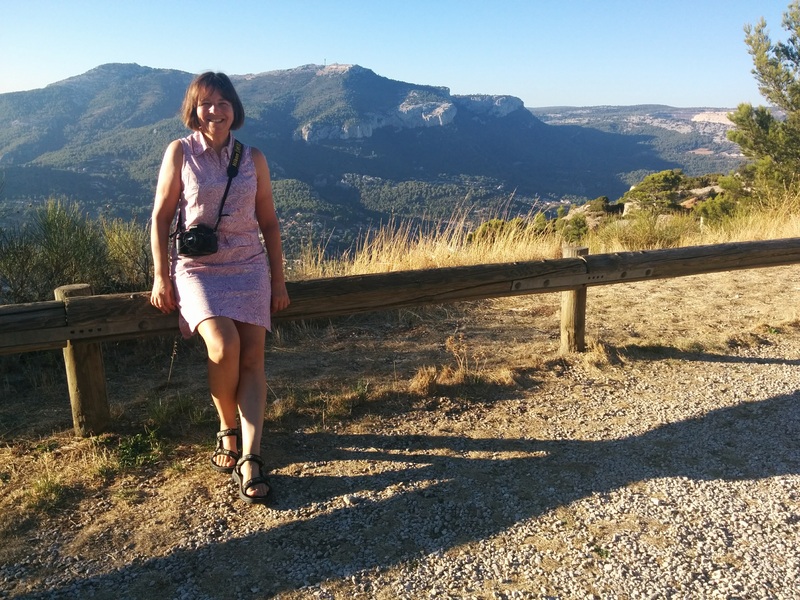 We blasted downhill so fast that we were checked into the Hotel L’Amirauté in plenty of time to visit the memorial and park overlooking the city. I had told the tale often of buying my beloved Velosolex bicycle in Toulon in 1975, then riding it up the Mont Faron. It took me two hours to climb and 20 minutes to descend, and I melted my brake pads on the way down. In 2017, the bus and the cable car made easy work of it. I was amazed at the sprawl west and north around the mountain, but it was still a great view. We took the last cable car back down. On Friday, the 6th, we travelled into the world that people think of as the French Riviera. 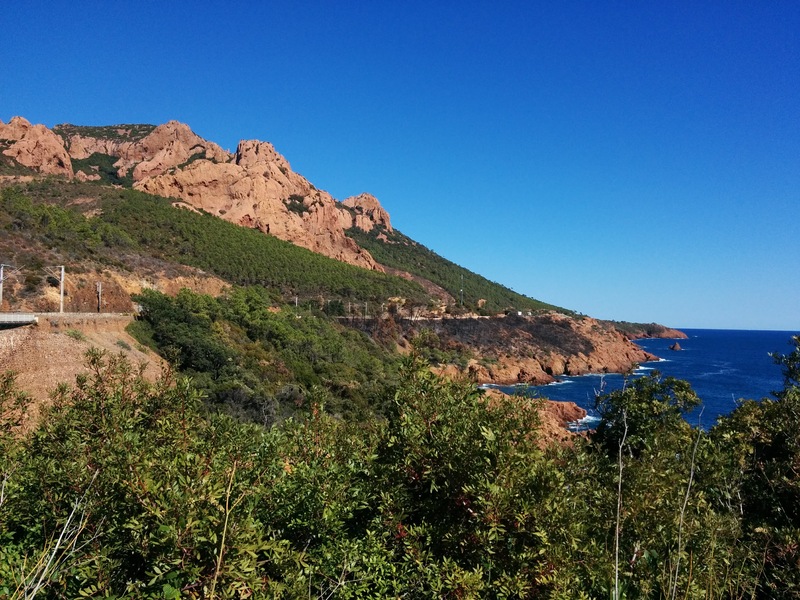 Following the fabulous Cyclopiste du Littoral, when it was not interrupted by construction, we made our way between the railroad and the beach to Saint Tropez. 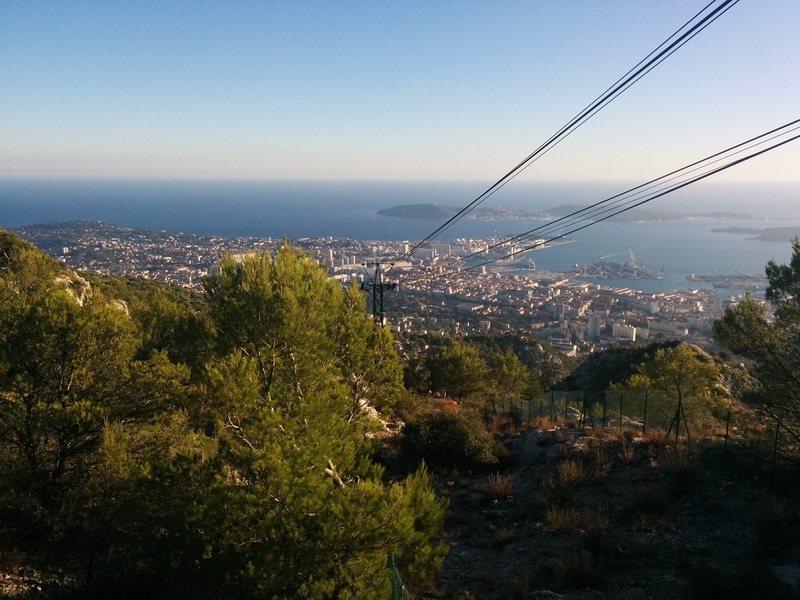 To our surprise, we shared the roads and bike paths with some of the 20,000 competitors drawn to Fréjus and Saint-Tropez for the Roc d’Azur mountain bike championship. First held in 1984 with seven MTB enthusiasts, it has become the largest MTB event in the world, packing the hills and towns between Fréjus and Saint-Tropez with every type of bicycle and rider imaginable (there are road bike events and children’s races, in addition to the traditional trail-shredding dirt races). Cheryl ended up riding through a very crowded section, and warned me by phone what to avoid in Fréjus. I was able to map myself through some quieter neighbourhoods north of the main event to get through town. We were lucky we could read French; a monolingual would have been crushed by the crowd, riding right into the worst of it! 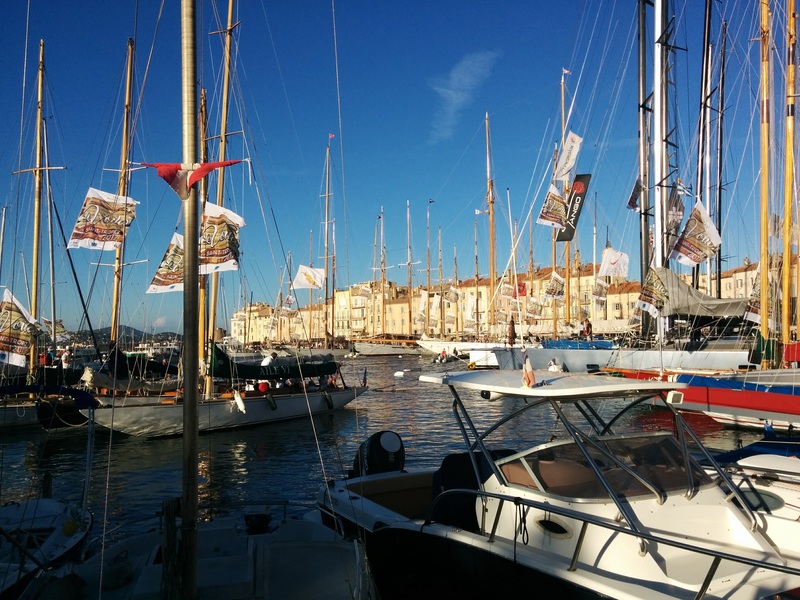 When I arrived in Saint-Tropez, I saw that Les Voiles de Saint-Tropez was underway. The town was packed with crews, tourists, fans, and millionaires, all here to see the ocean-racing yachts gathered for the regatta. The more dramatic of the sailing machines were Med-moored to the town quay, with colourful flags blowing in the increasing breeze. Dozens more were anchored just offshore, and the smaller craft of the Interclub Regatta were scattered in marinas all around the coast. 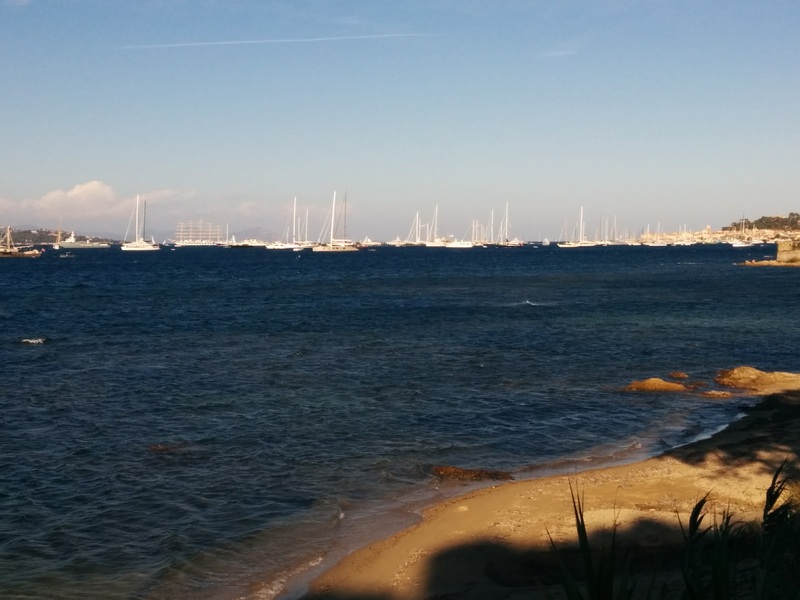 I made my way through the crowd back to the bike path along the highway and crossed around the bay to the town of Sainte-Maxime, where I met up with Cheryl at our home for the night, Les Palmiers, a waterfront hotel-restaurant, facing Saint-Tropez. We looked across the bay and wondered at the coincidences that had conspired to put three major competitive events in these three small towns on the same weekend. The next day, we were happy to be making our way to Cannes along the dramatic red cliffs of the Estoril, cooled by a northerly breeze. In the morning, I looked back, and saw the ocean racers already out to sea on a broad reach to the first mark. The ride today was uneventful, except for a wrong turn down a bike path that was closed by a landslide. The route was familiar, because I had come in the opposite direction just last year. Still, the steep climbing up and down along the coast kept me from making very good time, even with the tailwind. It was the weekend, so we booked that night and Sunday night in the Hotel Simone, not far from the train station. After Cannes, our next big town would be Nice, the last city of our tour. 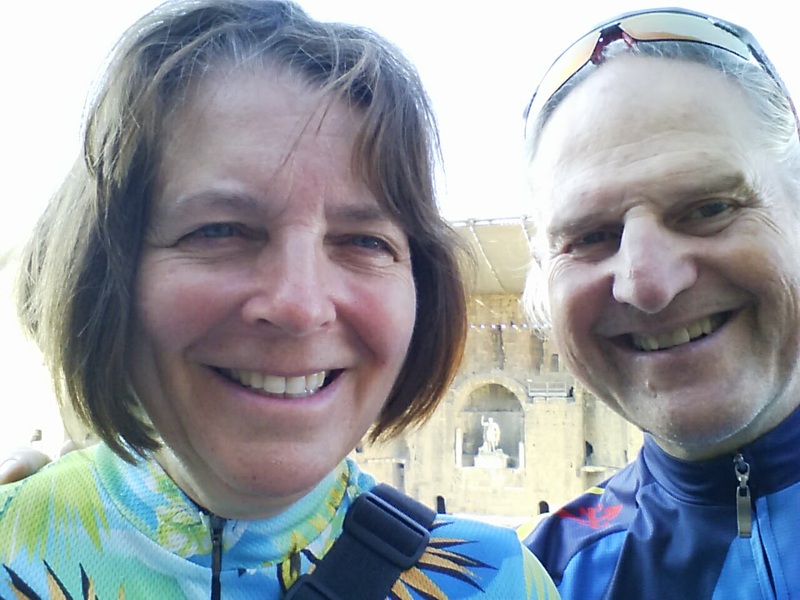 This entry was posted in bicycling, River Run 2017 and tagged bicycle rides, Saint-Tropez; Sainte-Maxime; Chateauneuf-du-Pape; Orange; Avignon; Arles; Aix-en-Provence; Toulon; Cannes, Travelogue by JT Hine. Bookmark the permalink.